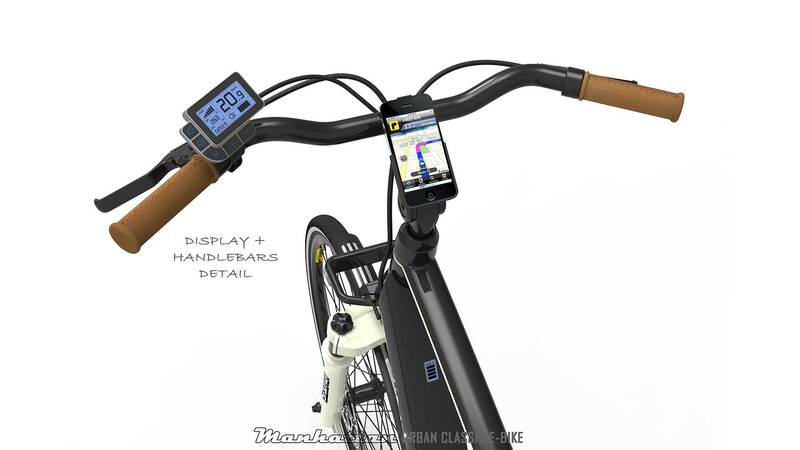 Smart “integration” of all components into the frame. 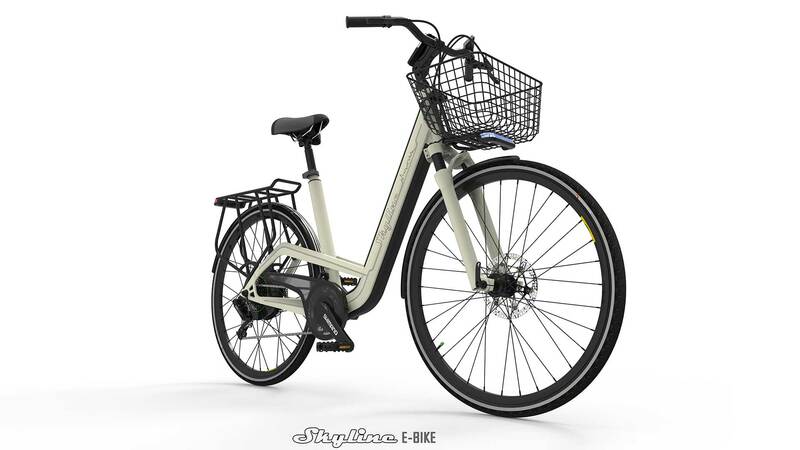 A “nice looking” urban e-bike should maintain the nature of an ordinary bike. 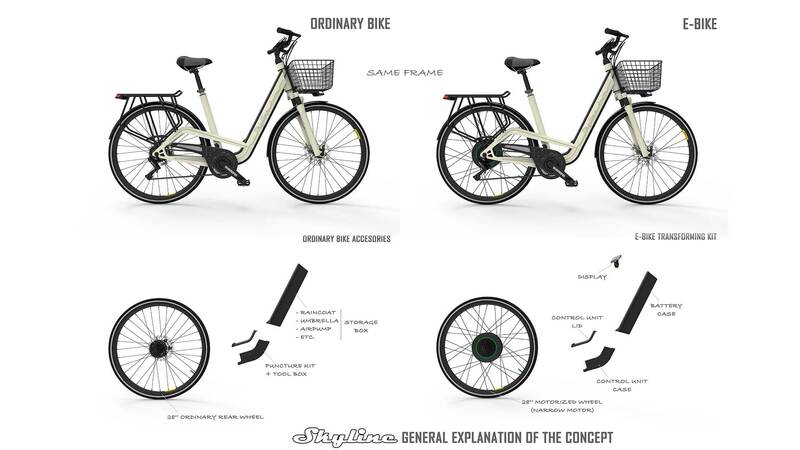 To surprise with new and fresh “ideas/concepts” for the use of city-orientated bikes and e-bikes. What is new in this concept…. 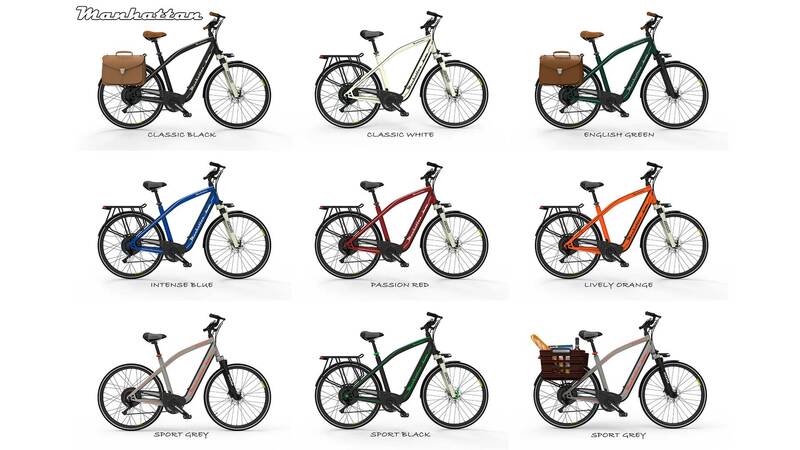 We believe that the new trend is to create bikes with frames simple as possible. 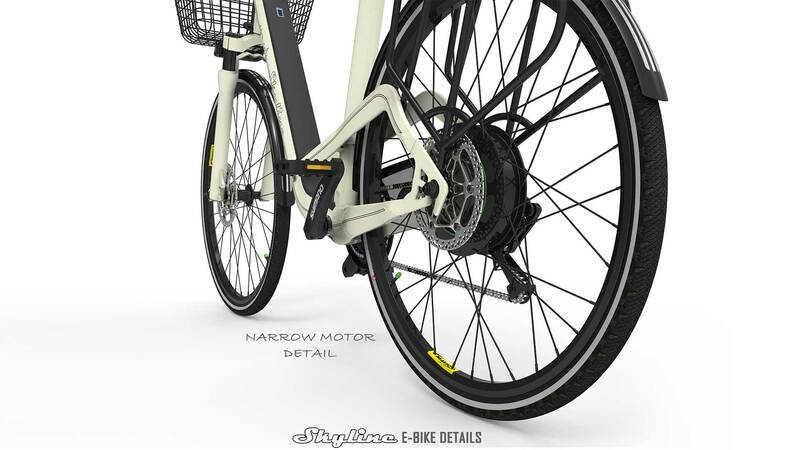 From this point of view we propose a concept that is valid for both: ordinary and e-bikes. The idea is to use exactly the same frame for both uses. This concept shares the tooling cost of a common frame and offers something much more interesting from the marketing point of view that is…. 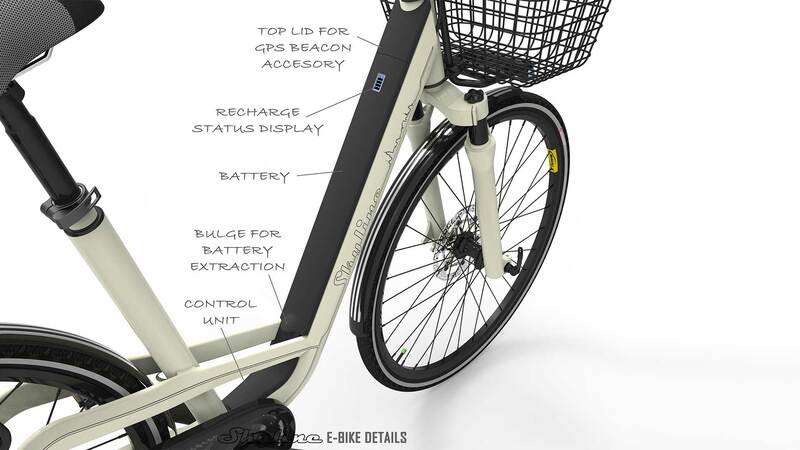 to “convert an ordinary bike into an e-bike”, with a perfect and full integration. 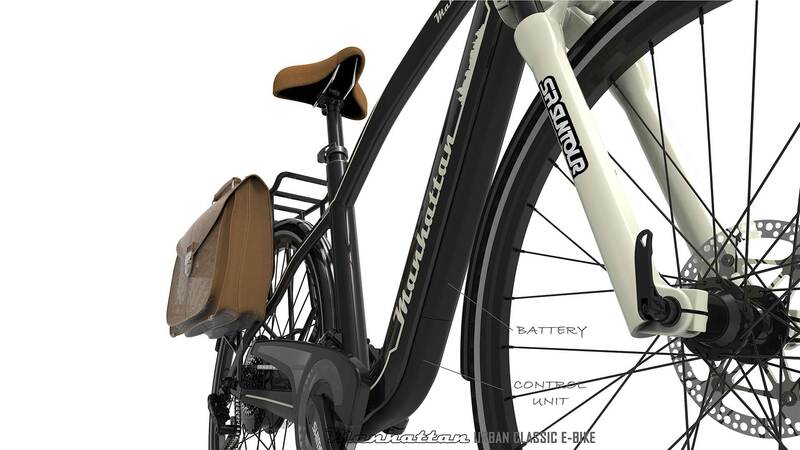 So, here we have two families of bikes that can coexist together and transform both ways, any time. 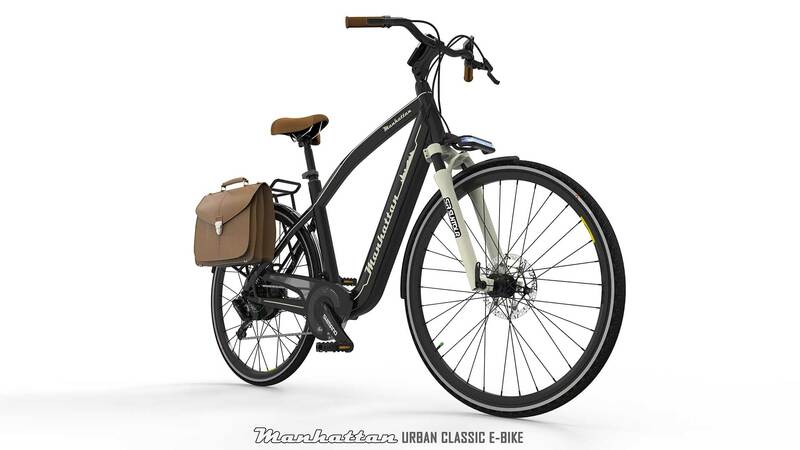 We start from a narrow motor of 250 to 350watts that fits into the distance of 135 mm between “dropouts”. 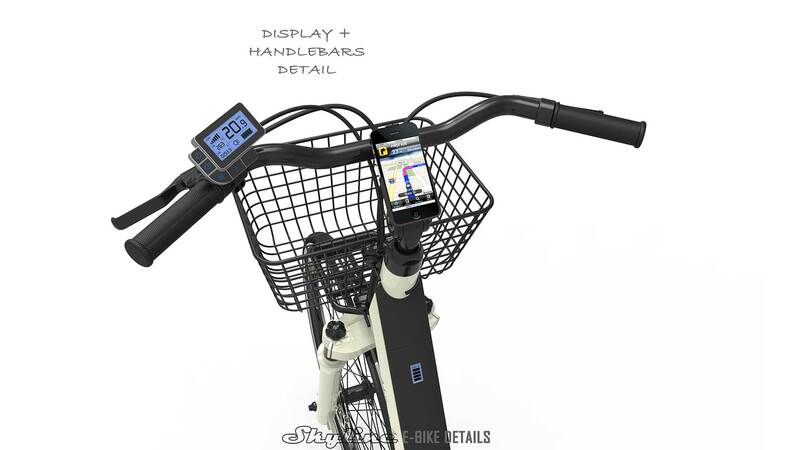 This is a standard distance for ordinary bicycle frames and allows a full exchange of all components. 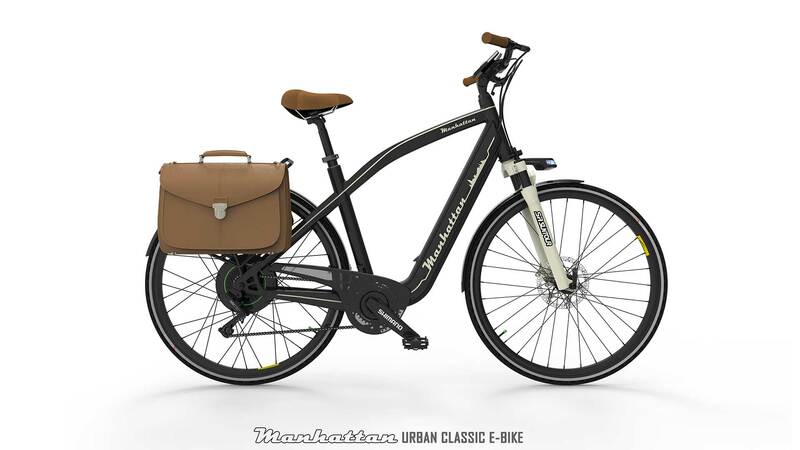 These bikes are equipped with top quality components such as the leader group in shifting SHIMANO. The final product configuration can be customized with different price levels, starting from a large selection of accessories available. 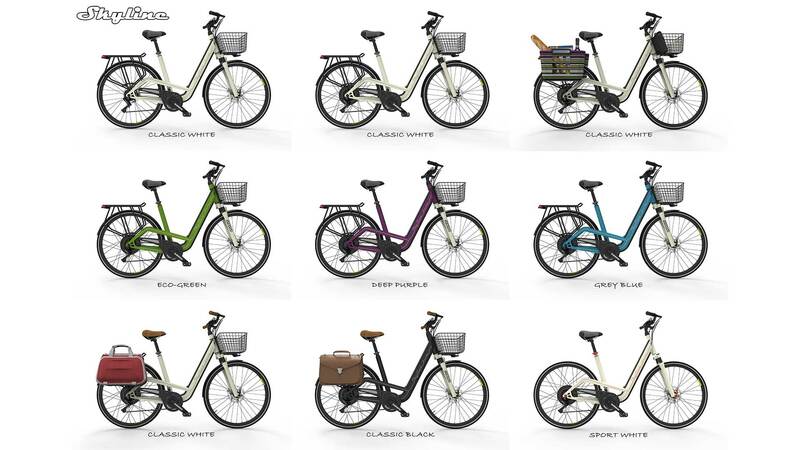 There are two collections of bikes: 26″ and 28″ wheel size, for men’s (Manhattan) and Lady’s (Skyline). 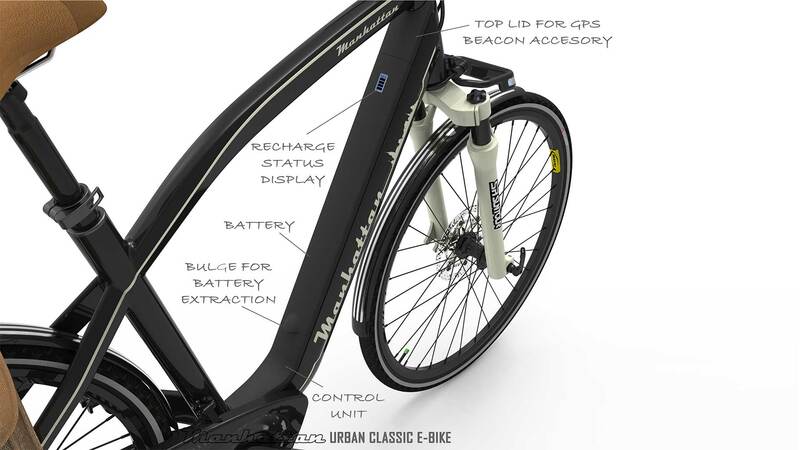 Both share the main frame tube(diagonal), where the battery and control unit are placed. 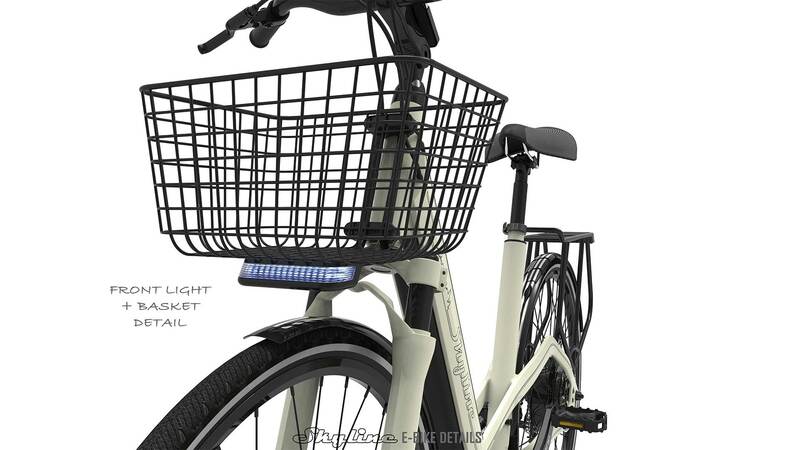 The battery is removable just by unlocking it and easily carried to the office or home for recharging. also has a display to show the status of the charge in any moment. 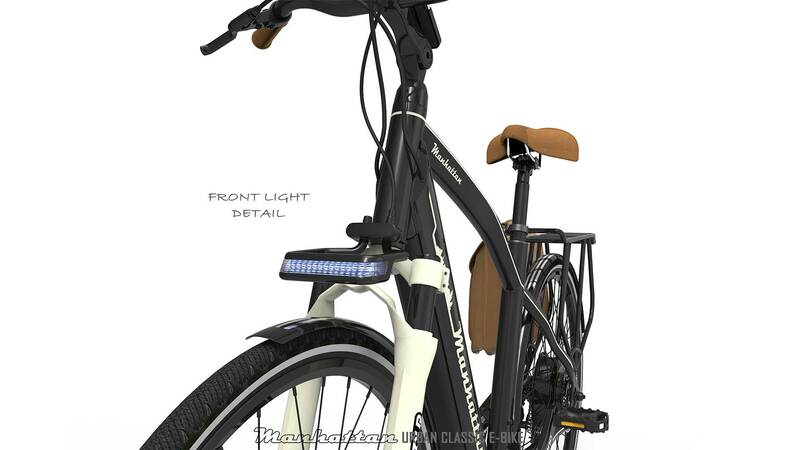 The “outside-frame” accessories such us: front and rear racks and lights are considered upgrade options so one can start from a very simple first price model and in time, upgrade it with extra accessories of one’s like or turn the ordinary bike into an e-bike by purchasing the standard kit that fits perfectly into the bike’s frame and maintaining the same external aspect. 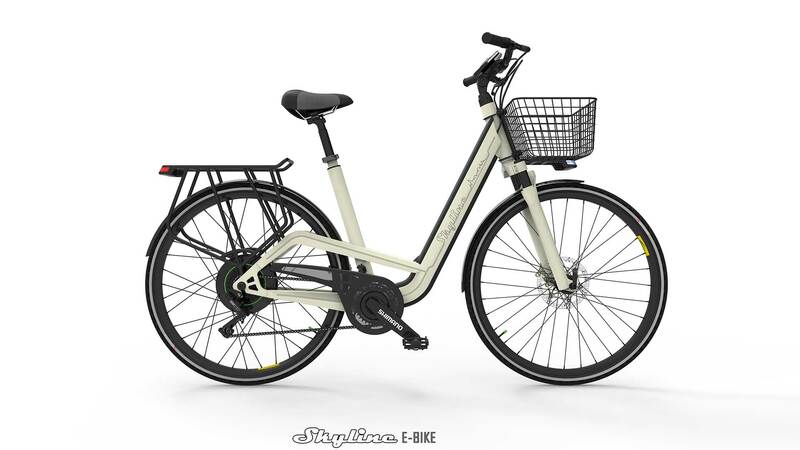 The battery of 36V and 9A/h, provides a great autonomy that can give us a range from 60 to 90 km of assistance.